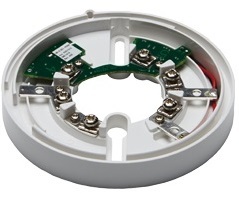 The EV-B-SCI is a low profile detector base with integral Short Circuit Isolator (-ve Line), suitable for use with all types of Evolution analogue addressable detectors. 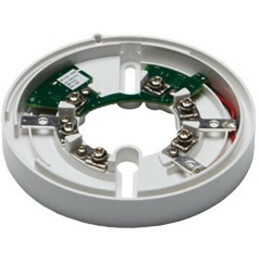 The base plate is designed for use in indoor locations and the cable entry is from the centre, similarly to the standard base. The EV-B-SCI is designed to provide Short Circuit Protection, without the need for any special device setting and is self resetting if the fault clears. Self resetting when fault clears.